OK like I threatened last week, er, I mean promised, this weeks new posts are on the folky side. Some are difficult if not impossible to find, so let's get going! Great stuff again resurrected from the depths of the archives. If the name doesn't ring a bell, David Lewis was the frontman for Andwella's Dream and Andwella. This album is some great mellow, subdued, early 70's singer-songwriter stuff. On about half the tracks Mr. Lewis accompanies himself with piano and/or guitar, on the rest he has a drummer and a bass player. This is really outstanding, and as one of the other bloggers would say, HIGHLY RECOMMENDED! 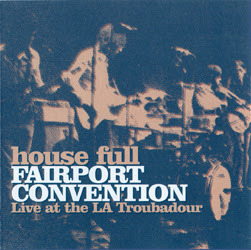 This is a fine performance by what some would say was Fairport's best non-Sandy line-up, touring to support, you guessed it, Full House. The band is enthusiastic and energetic, and the sound quality is very good. Awesome version of Sloth. This is a remaster of the 1986 Hannibal release and includes two bonus tracks. Many thanks to the original uploader, Barmaleyy! 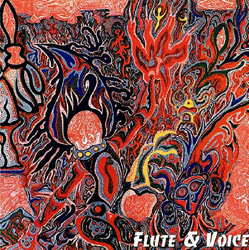 Flute & Voice were two Germans, Hans Brandeis and Hans Reffert, who besides singing and playing the flute also played electric and acoustic guitar and sitar. This CD has the material from both their 70's albums; Imaginations of Light (1970) and Hallo Rabbit (1973). 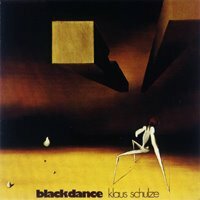 Very 'stoned' sounding, the music is a progressive mixture of jazz, folk, and Indian music. These guys were very good, this is real tasty. 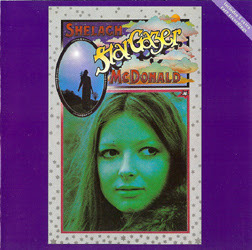 Shelagh McDonald was a Scottish singer/songwriter whose story is kinda interesting. After making two albums in the early 70's she supposedly had a bad acid trip, and went into 'hiding', only being found just a couple years ago. Anyway, this is her second album with bonus tracks and it's very sweet. All original material, and she had a great voice, something like Sandy Denny meets Judy Collins. Guest players on her albums included many of the greats from the English Folk scene, Richard Thompson and other members of Fairport, members of Fotheringay, and others. Good sounding FM broadcast featuring the best Steeleye Span lineup. 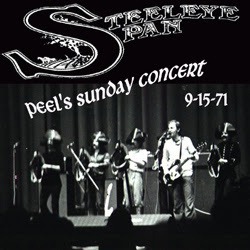 If you're a Steeleye Span fan you need this, it's great! OK that's the new stuff for this week - comments can be left at the end of the post, under the archival material. "Archival material" hehe. 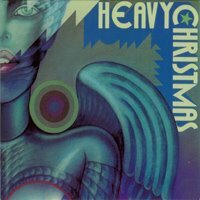 A Krautrock Christmas album! Some of the bands we've met before, "Virus" and "Dies Irae", we just met Flute and Voice, we've met "Ardo Dombec" too, and Joy Unlimited. My favorites are Virus's "X-Mas Submarine" and Dies Irae's "Silent Night". 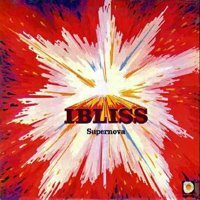 The German band Ibliss released only one album, which is probably more fusion/jazzrock than it is progressive rock. There are four long tracks, the last one, "Athir", being the best in my opinion. This thing is a percussion extravaganza, with most of the first track sounding like a hippie drum circle, only with really good drummers. Lotta flute, sax, and early 70's cosmic-ness. 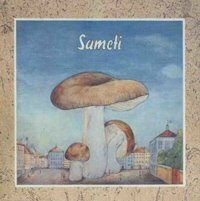 Sameti had some members who were late of Amon Düül II and the German band Embryo, and the highlight on this is a 22 minute long improvisation, "anotherwaytosee", which definitely sounds very Amon Düül II-ish, and wouldn't sound out of place on one of the classic Düül albums like "Tanz Der Lemminge". Another semi-structured song is called "Big Fat Brother Joint", and likely provides a glimpse into these guys' personal habits! 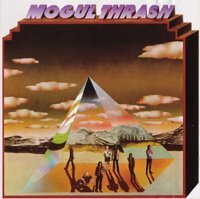 Formed by ex-Colosseum guitarist James Litherland in 1971, Mogul Thrash's only album was produced by Brian Auger, who also played on one track. Also included was John Wetton, who provides some meaty bass, and Roger Ball and Malcolm Duncan, who went on to form Average White Band. This is a brass-driven, jazzy slice of progressive rock with some strong guitar and saxophone jamming. If you like Colosseum, you'll like this. 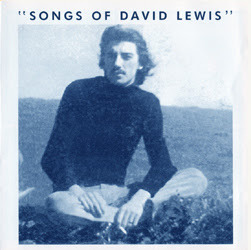 Thanks for all links and in particular for David Lewis. I agree rochacrimson, Fairpot are fantastics!! Thank you for Ibliss repost! love the folk weeks. thank you. Thanks pep sonic!Any chance to give me a invite to re-join your blog? fantastic post this week !!! special thanks for Shelagh Mc Donald, Flute & Voice and David Lewis. Many many thanks & see you next monday ! I found Sunday in the archives. Excellent music. Thanks. The David Lewis album is simply beautiful... I'm nursing a hangover at the moment... and Mr. Lewis is hitting the spot perfectly. Thanks for the moolah - great stuff, this sounds like nothing else from the us at that time. Hi Rochacrimson - Yep Fairport are great! Hello Pep Sonic - You're welcome. Hello 2 anonymouses - You're welcome. Hi ALaN - You're welcome. Hi frumious bandersnatch - you're welcome. New post up in a couple hours! Hi anonymous - You're welcome. Thanks for poking around in the archives! Hello babbles - Yeah that David Lewis is real nice. Got it from Freak Emporium who shut down the day after I got it. By the way, lay off the sauce hehe. Hi mike-floyd - You're welcome. Sitting here waiting for my girl to come home from work so we can rip open some presents and was trying to find some 'appropriate' music. How could I have forgot about the Kraut Kristmas post. Perfect. Thanks for this and many others I probably havent thanked you for. I'm grooving to the iBliss!! Some pretty great guitaring underneath the percussive attack! (Only one guitarist is listed, Wolgang Buellmeyer, though 1 hear two guitars on the first track, for instance. maybe he did some overdubbing. Anyway, i wonder if this guy did any other recording--i like his lead soloing and his backing rhythm guitar work very much!!) thanks for the post! The David Lewis is sublime. Thanks for posting!